The Thursday Interview: Paul Wigmore. 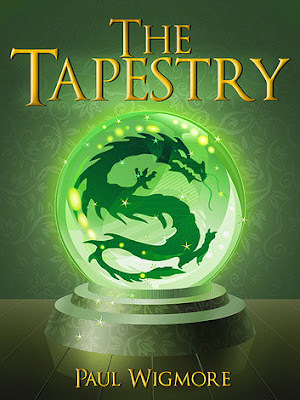 Today, I'd like to welcome Paul Wigmore, author of “The Tapestry” to The Thursday Interview. Before we get started, a quick intro! 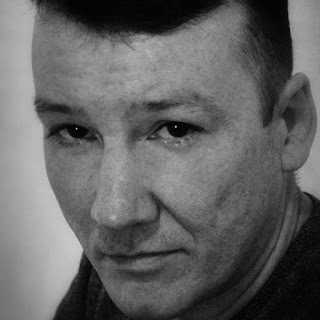 Paul Wigmore was born in Coventry in 1975. Now living in Manchester and running his own business. The first book to capture his attention at the young age of fourteen was 'Four Past Midnight' by Stephen King. Since then his imagination has been captured by other Great authors such as James Herbert and Clive Barker. He now wants to capture your imagination and take you on his journey with him. 'The Tapestry' is his first novel but there will be many more to follow. 1. Would you break the law to save a loved one…why? I think the short answer is yes…I mean, who wouldn’t? But it also depends on what I’m saving them from. If it’s from certain death or injury, then the law and its red tape would be nothing but an afterthought. If I’m saving them from their own idiocy (which happens now and again) I might point and laugh a while before stepping in. To me, it’s all about freedom. Freedom to be able to go anywhere and do anything without having to think about the mundane, the everyday things that we have to deal with because society demands it. You must work to pay your bills, you must have a passport to travel, you must have an I.D so the government can keep watch over you. Being totally alive and truly living how I wanted would mean that none of the above affected me. I would travel the world without hindrance or care. I have found that I can articulate what I want to say much better when I put it on paper. There have been times when I have had an issue at work, I knew I was in the right and I had the argument all planned out in my head. I couldn’t lose but as soon as I opened my mouth, I just went off on a tangent and no one had any idea what I was talking about (I knew what I meant though). I feel like I’m being my true self when I write. And it’s so much fun creating worlds and creatures that otherwise I wouldn’t have met, and neither would you! Well someone has to do the washing up, and who would fetch me a beer from the fridge? The reasons are different for everyone, some want a second go at achieving what they never managed to do, so they live their lives vicariously through their children, (anyone seen pageant parents…wow). We have to pro-create to ensure the survival of the human race, although these days I seriously believe a questionnaire and full mental health background check should be carried out before the nuptials, if it were in any way possible to do so! 5. What was the biggest challenge in creating your book “The Tapestry”? One of the biggest challenges for me was writing about Gavin when he was a little boy. He had a very hard time as a child and quite a confusing relationship with his step-father. He was always referred to as ‘his number one’ so why wasn’t he treated as such. He was treated poorly and he had a hard time trying to figure out why this man behaved like that towards him and his siblings. If that wasn’t bad enough, his mum eventually turned on him and there is a scene where his mum slaps him for the first time and the colour runs from his day. His home will always be the bad place then. A lot of the scenes when he was a little boy were taken from memory, my own childhood. It helped me a lot to write about them although it was also a challenge re-living certain scenes but it had to be done for the story. I think the most important thing I’ve learned is that it’s not the big things, but the little things that count. It’s something that we learn as we grow older. Spending time with your children is much more valuable than spending money on them. Hearing them laugh and just knowing that you are doing all you can possibly do to help them through this life and be all that they can be is the most important thing I have learned. Oh and that I know almost nothing, once you realise that this state we call living is actually a constant state of learning, then you’re on your way to knowing something. 7. How did you come up with the title “The Tapestry”? I welcome it if it’s about my work and it’s delivered as constructive criticism, as I said before, we are all learning all the time. But if it’s about my clothes or my choice of music or something else personal like that, then you can go take a long run off a short pier because that’s none of your business and I will find a way of killing you in one of my next books. Someone has said that The Tapestry is a “well woven literary piece of art” and I think you might agree when you read it. It’s a multi-faceted story with lots of twists and turns. It will also leave you wondering who to feel sorry for and you will change your mind more than once. Strange as it may seem, this is a question I’ve pondered over before and I feel that for there to be nothing then there has to be something or someone to register that there is nothing, therefore there is something rather than nothing. Until he died, Gavin had never been able to defend himself against the bullies that had tormented him throughout his childhood into his adult life. It was only once he had sold his soul to Saul, 'The Bringer of The Black Plague' that he became the man he should always have been. Saul was the mightiest, most bloodthirsty demon ever to wander the wasteland of Hades. Even challenging the throne of Adromoloch himself, he wasn't done yet though. He just needed Gavins' soul. The only one able to stem the flow of evil about to erupt from the sulphuric forest of ash beneath our feet is the psychic Clara. But can the dragons help her to 'become' in time to save the children?